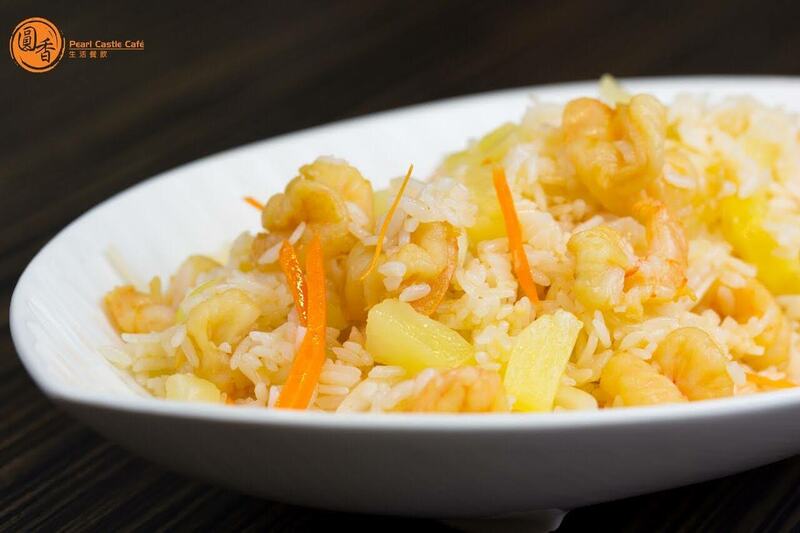 Pearl Castle Café is a popular Asian restaurant that serves authentic Taiwanese fare and drinks. I was recently invited to a ChineseBites menu tasting at Pearl Castle Continental Centre location and was able to sample so many of their new and popular items on their menu. (The meal was comped by the restaurant but opinions remain my own). This year they won the 2015 Chinese Restaurant Awards Diners’ Choice winner for ‘Best Three Cup Chicken’! In addition to new food items, Pearl Castle is also releasing some new drinks, which are only available at the Continental Centre location. Seems like cotton candy is all the rage these days. Three new drinks are topped with cotton candy afros! 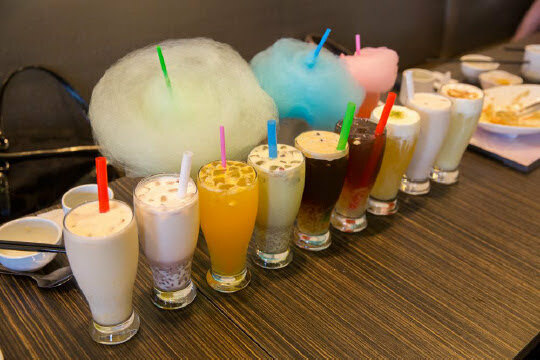 The cotton candy drinks have whimsical names that match the playfulness of the drinks. They even have matching straws! The food is pretty decent. Some of my favourites were: Milk seafood & pork hot pot, Deep Fried Fish Cakes, Vegetarian abalone mushroom with three spices, Curry coconut seafood & pork hot pot. Disclosure: The meal was provided free of charge by Pearl Castle Cafe. The opinions expressed in this post are entirely my own and have not been influenced in any other way.